If you are a petite woman than you are no stranger to the difficulties of shopping to fit your size. Finding clothes that are the right length, specifically when it comes to bottoms and dresses can be a real struggle. 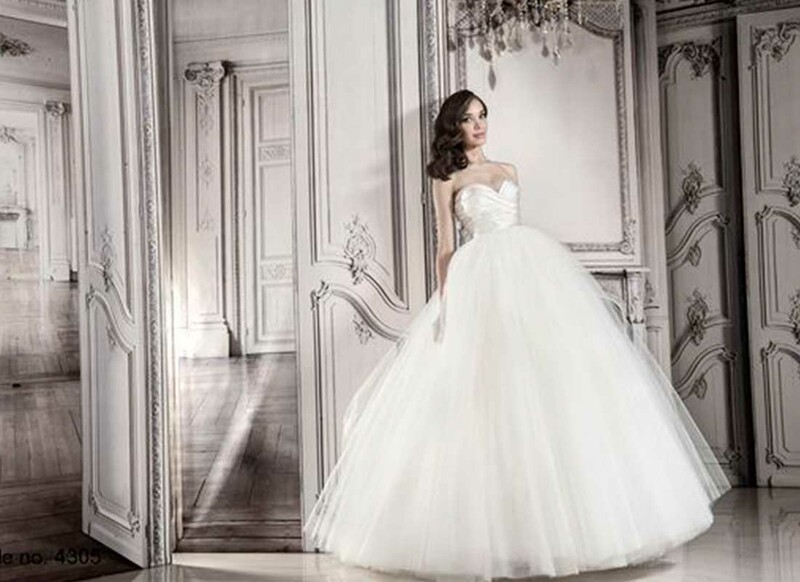 Shopping for your wedding gown is no different. Usually made for tall, statuesque women, it can be daunting finding a wedding gown that still feels celebratory and bridal without overwhelming your small frame. There is one wedding dress designer that understands and expertly designs for all the petite bride-to-be's out there! 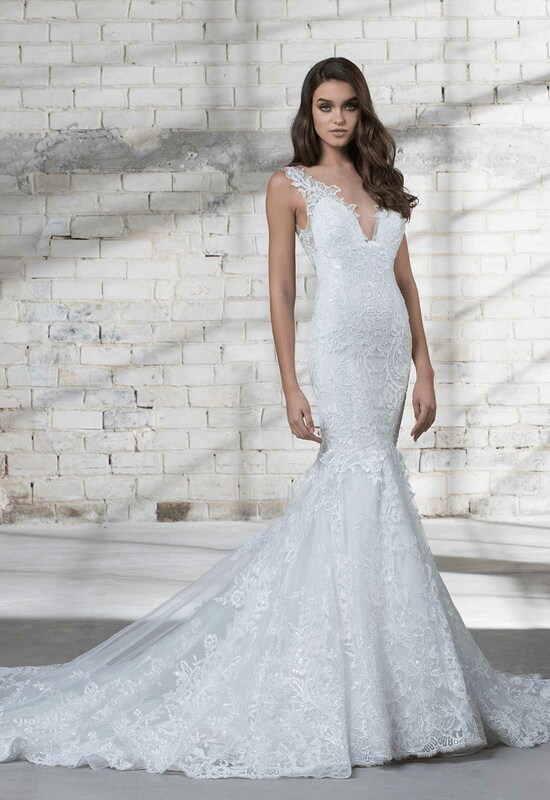 Being petite herself, Pnina Tornai has a personal understanding of what looks good on smaller frames and therefore knows how to design gowns that are still full of bridal wonder without making a bride seem lost in her wedding gown. The best silhouettes for smaller frames in my opinion are mermaids and ball gowns. Now I know what you're thinking: aren't those the two worst silhouettes for petite brides? Absolutely not! In fact it's the exact opposite. Since mermaid gowns are fitted and do not flare out until the knees or below, these gowns actually elongate a woman's torso making her seem taller and leaner in her dress. 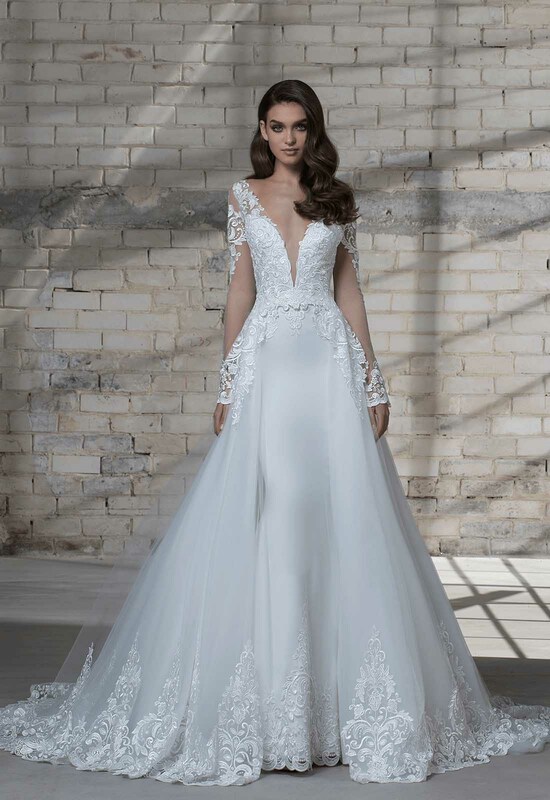 Pnina is also able to raise or lower the point of flare, ensuring that the gown is perfectly proportioned. 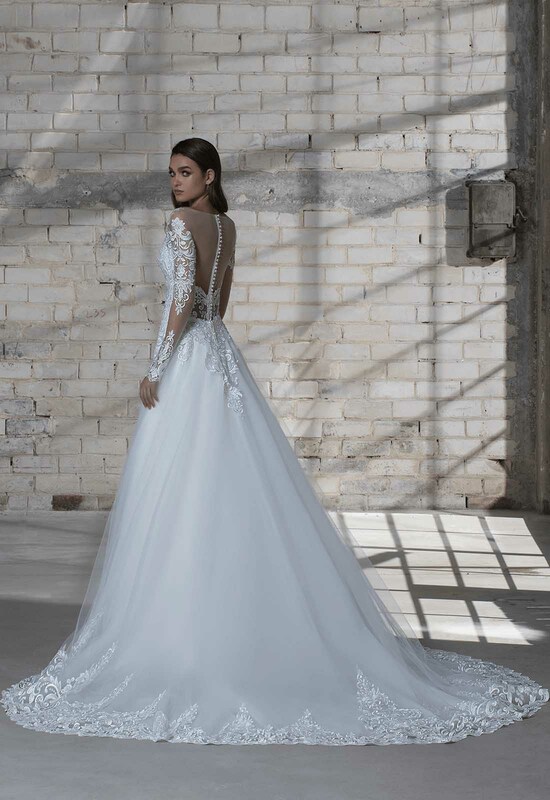 Natural-waist ball gowns are a petite bride's friend because not only do they make the waist seem small, but with a bit of the crinoline removed from the underskirt can be just the right amount of fabric for shorter bride silhouettes. The waistline also helps legs look longer because of the proportion of bodice to skirt. Just because you are short in stature does not mean you have to be short in the fabulous department! It's your big day and if you choose to go for a big gown I say kudos!